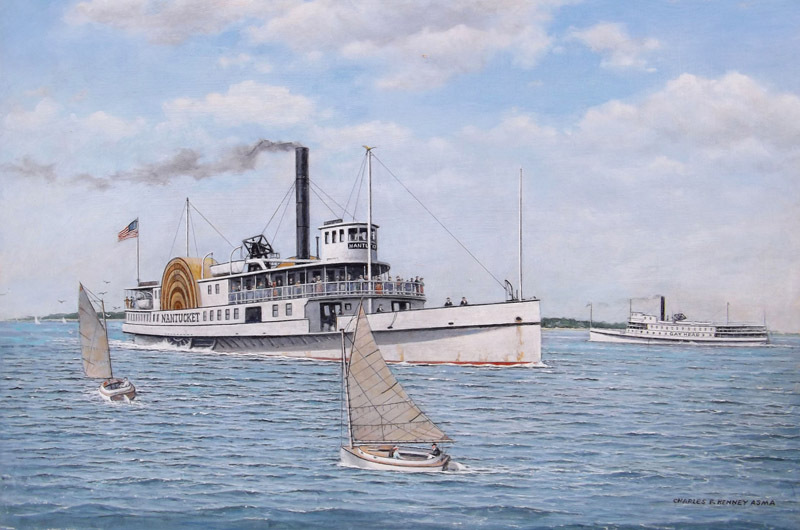 Oldie but a goodie, steamship Nantucket by Charles Fran Kenney. The Maritime Show, Sea & Shore exhibit reception is Friday, July 3, from 5 to 7 p.m. at the Louisa Gould Gallery at 54 Main street, Vineyard Haven. The exhibit features a selection of works by Charles Fran Kenney, Frauke Klatt, Paul Beebe, Leslie S. Self, Alan Eddy, Dorothy Fox, Linda Besse and Louisa Gould. Preview the show online at louisagould.com.